Marinaro Law Firm is a criminal defense law firm in Lancaster, Pennsylvania, with an exceptional team of committed trial lawyers. 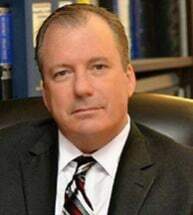 Led by Michael V. Marinaro, Esq., our law firm is committed to protecting the rights of individuals charged with a range of criminal offenses, from drug crimes to DUI to assault and murder. With more than 20 years of experience practicing law in Pennsylvania, our attorneys have the depth of experience and knowledge to bring your case to a favorable resolution. Before he became a lawyer, Mr. Marinaro spent 10 years at the FBI as a forensic chemist, building a knowledge base that continues to inform his work as a criminal defense attorney. Our legal team is dedicated to providing strong and effective criminal defense representation for our clients facing a range of charges. Wherever possible, our goal is to get the charges against our clients dismissed. Where that is not possible, we remain committed to getting each client's charges or sentence reduced to the greatest possible extent. At Marinaro Law Firm, we also provide representation for clients going through the often-emotional and difficult process of divorce or other family law issues.